Antique piano restoration breathes life into a once lifeless, unsightly, and inoperable instrument. Over the years, a piano is bound to suffer wear and tear due to prolonged use, weathering, and the expansion and contraction of the inner and outer structure of wooden components. Whether you are looking to give new life to an antique piano or save a sentimental family heirloom, you can look to piano refinishing and restoration to make your old piano look, sound, and remain new again. In time, a piano can accumulate a large number of dings, dents, discolorations, and other unsightly defects. It can even suffer major damage, such as broken action parts, a warped frame, a worn out pin block, or a cracked soundboard or bridge. However, if the piano is of quality materials and construction, there is hope that it can be restored to being a functioning instrument once again. Refinishing can make an old piano look almost as good (and in some cases, better) as it did when it first came out of the factory. Piano refinishing and restoration is something that most people should leave to the experts, particularly in the case of antique pianos. Refinishing alone is a long and difficult process that can leave you tangling with nasty lacquer fumes. It requires much work, and it is best accomplished by a skilled craftsman. In any case, it is definitely less costly to hire a piano technician / rebuilder to restore and refinish an old piano [worth restoring] than it is to buy a new replacement. However, if you have some experience with woodworking, you may still be considering whether you can accomplish the refinishing job on your own. Let us take a look at what is involved in the piano refinishing process, and then you can make a sound decision. The first part of the process involves stripping off the old lacquer finish from the piano's surface. After this lengthy step is complete, you must then prepare work on the wood veneer. You need to clean and sand the wood until you have achieved a dead flat finish on the entire surface area of the instrument. Following sanding, you then need to repair, reshape, and/or remold any surface imperfections, such as dents, blemishes, scratches, and so on. Once this step is complete to your satisfaction, you go on to the next step - in many cases, this means the application of a pore filler. This is a creamy substance that is applied to the wood with a hand brush, after which you wait for it to partially dry. Then you wipe off the pore filler, leaving just a little of it behind. You wait for it to dry completely. Once it has dried, you can apply wood stain, if required. Again, you then wait for it to dry, which can take five to 15 minutes or longer. Finally, it becomes time for you to apply several coats of finish. This involves spraying lacquer over the wood surface. After each coat, you must allow the lacquer to dry for at least 24 hours. 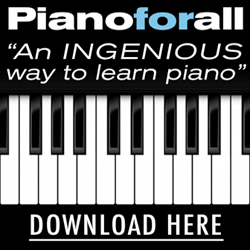 The entire piano refinishing process can take three days or more. HAVE A QUESTION ABOUT RESTORATION?